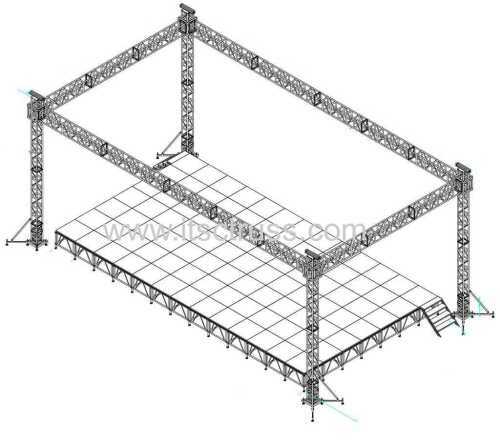 This Square lighting trusses flat roof is configurated with aluminum mobile stage systems. It is based on the 4 towered box trusses system with standard stage decks. All the trusses beams is with 400x400mm Square trusses, while the pillars are with 300x300mm bolt trusses. The stage decks are the standard 4x4ft aluminum stages from ITSC group.